Properties in Arbus average 4.6 out of 5 stars. 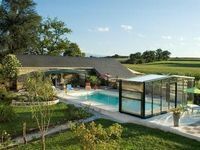 In Bearn between sea and mountain-swimming pool private, heated. Property 18: In Bearn between sea and mountain-swimming pool private, heated. Apartment on the ground floor in Villa. Property 24: Apartment on the ground floor in Villa. Downtown. T2 50m2 all-equipped, WiFi. Property 30: Downtown. T2 50m2 all-equipped, WiFi. Charming Rural House with an EXCEPTIONAL price! Property 33: Charming Rural House with an EXCEPTIONAL price! Come home to the Pyrenees Boulevard - Garage included - Close to everything! Property 40: Come home to the Pyrenees Boulevard - Garage included - Close to everything! As in the best hotel hôtel! Property 42: As in the best hotel hôtel! 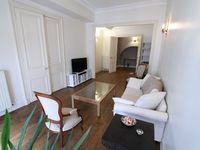 Fabulous stay in a clean and well appointed large apartment. The proximity to the station and centre of town was a bonus. Thanks to Andre for his hospitality. The house is lovely, charming and tidy. Helene and Albert were terrific host. We received fresh eggs, homemade brioche, jam and terrine and lots of warm smiles. My daughters enjoyed their 2 sweet dogs, the swing set and the free range chickens. The location is perfect... serene and tranquil with a view of the Pyrenees. What more could you ask for?